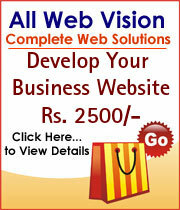 All Web Vision web solutions is a India based website development, Web Hosting, Web Designing, ECommerce Solutions firm. Apex Software Solutions Provides IT Solutions Like Website Development, Software Development & all types of Web Servcies. Address: 1004, Janki Heritage, Opp. Big Bazaar, 150 Ft Road, Bhayandar West Mumbai - 401101 INDIA. I am a freelancing web designer and developer. I take commercial website projects. Develop Software Web Development Hardware and Network Solutions Professional Training Provider. Address: Shop No. B/7, Bharat Apt; Near Bharti Vidayalaya, Kasturi Park, Navghar road, Bhayander (E). Thane 401 105. Address: B/3-101, Kamala Park, 60 Feet Road, Bhayandar (W).